All info displayed here is for you to devour. 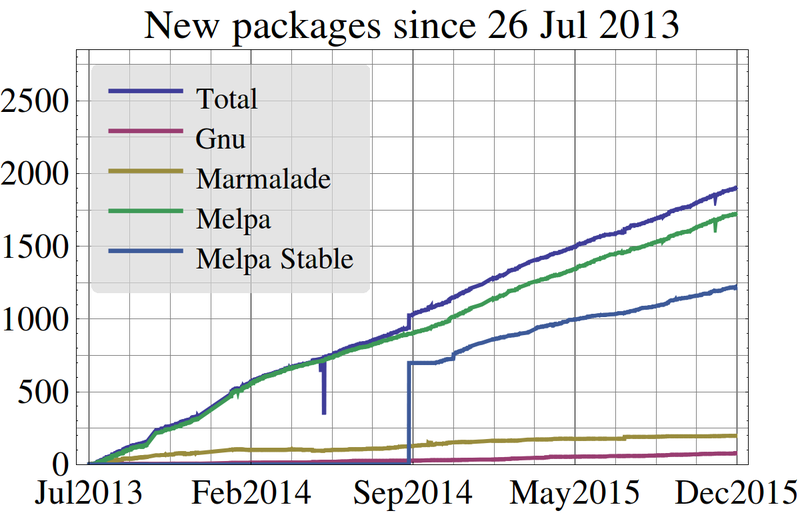 The following data regards the Emacs package archives. More information at the About page. 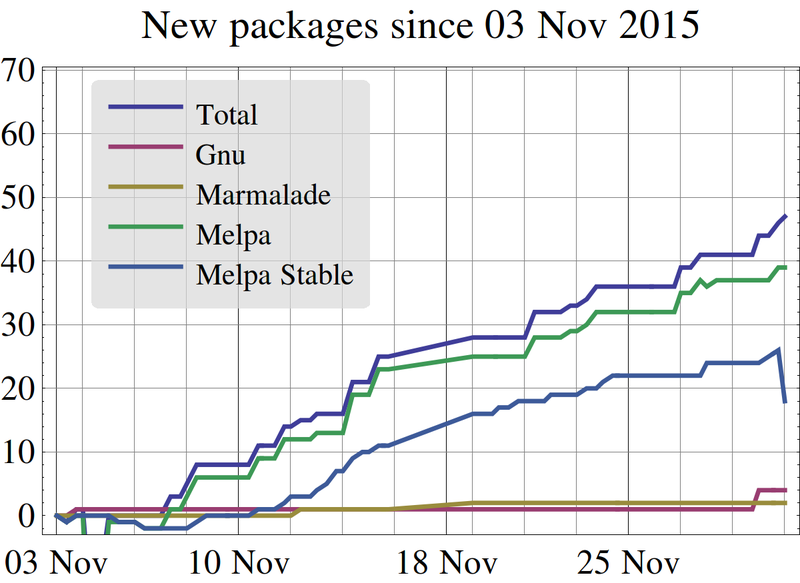 The two graphs below display the number of packages added to each repository. They show how much a repository has grown since a specific date. And this graph shows the total number of packages provided by each repository. 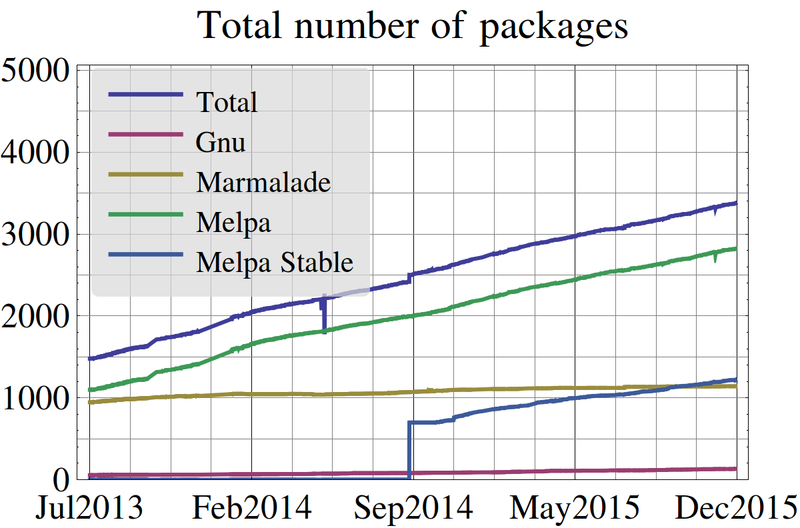 The breakdown of total number of packages for each repository (as well as a comparison of single files vs tar balls).